As you progress through various stages of your life, there are many mental and physical changes that occur. It is likely that you experienced one of these mental changes that is commonly referred to as “teen angst.” Sometimes, the highly energetic and talkative child you once were gives way to a quieter reserved person that attempts to deal with the strange limbo between being a child and a young adult. 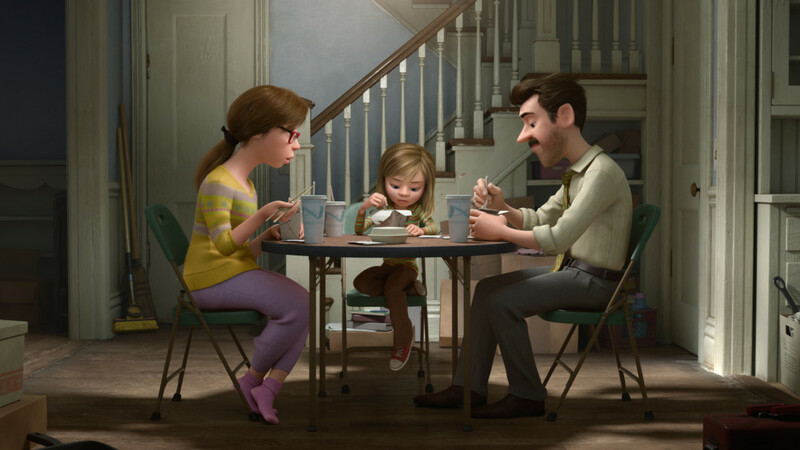 Pete Docter, the director of ‘Inside Out,’ had this going on inside of his head when he came up with the idea for the film, observing his daughter changing in front of his very eyes. There are five emotions that are personified within the mind of the 11- year-old, hockey-loving Riley, a Midwestern girl who is forced to move to San Francisco with her parents. Joy (Amy Poehler), Sadness (Phyllis Smith), Anger (Lewis Black), Fear (Bill Hader), and Disgust (Mindy Kaling) guide her through the various problems that she encounters on a day-to-day basis. However, when Sadness and Joy get sucked into the deep trenches of Riley’s mind, Fear, Disgust, and Anger are left to fend for Riley’s actions and well-being. The most difficult emotions to develop were Joy (voiced by Amy Poehler) and Disgust (voiced by Mindy Kaling). According to Docter initially, there was not a good response to Joy as the leading emotion because she resembled “the friends that we all have who are just kind of always happy, and you kind of want to strangle them, you know, ’cause you just sense insincerity.” They key was to ensure that she was genuinely conveyed as loving her child and being a likeable and truthful character. While animated films are typically associated with being geared solely toward children, this is a film that can be appreciated and enjoyed by children, teens, adults, parents, and grandparents. “Inside Out” has the ability to bring people to a place that everyone is familiar with, but one that they have never actually been to before. “Inside Out” hits theaters June 19.